Fist of Flour Pizza Company launched in 2010 as a food truck. 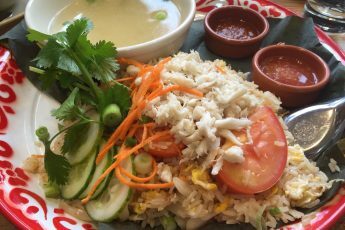 At the time, it rented a kitchen in Berkeley to conduct all their food prep. 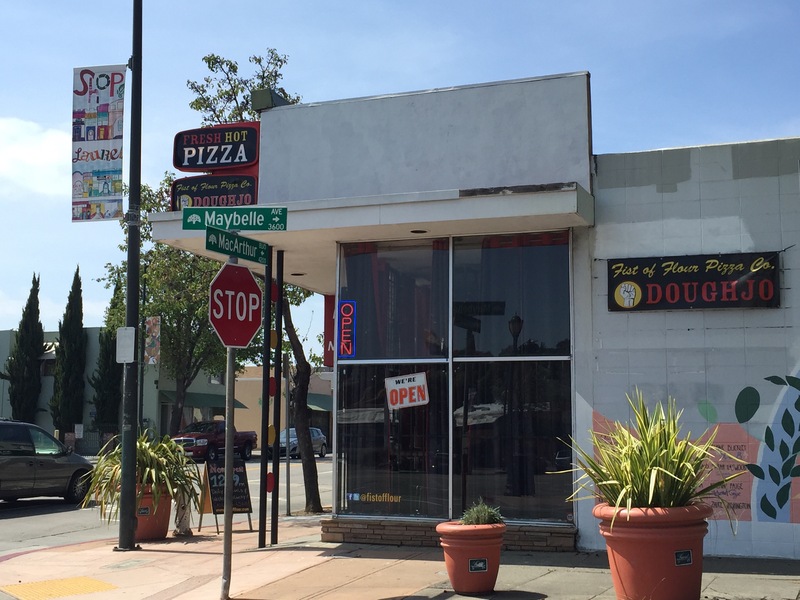 In January 2014, they opened what they call a “Doughjo” on the corner of MacArthur and Maybelle Street in the Laurel District of Oakland. Fist of Flour Doughjo is not a martial arts studio, but a pizzeria and the location where they do all the prep work for their two traveling food trucks. 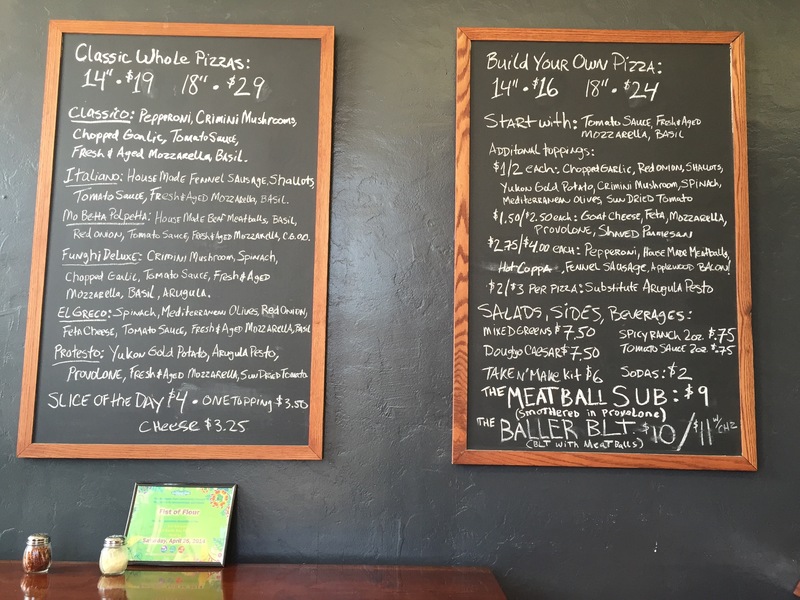 At Fist of Flour Doughjo, you can order pizza by the slice or order whole pies that are 14″ or 18″. They have a number of specialty pies or you can build your own pizza. They also have a lunch special from 12-4pm daily where you can get two slices of pizza and a soda or one slice of pizza, a salad, and a soda for $7. 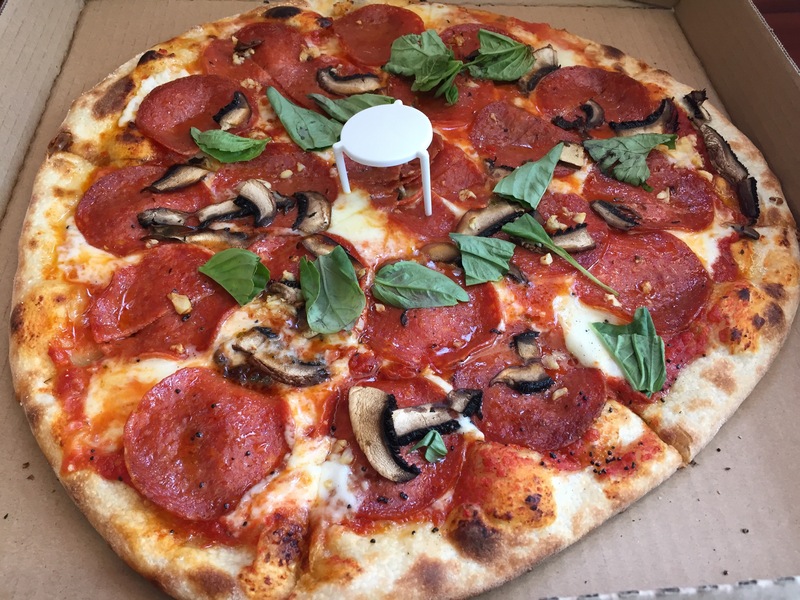 I ordered a 14″ Classico, one of their specialty pizzas which has pepperoni, cremini mushrooms, chopped garlic, tomato sauce, fresh and aged mozzarella, and basil. I waited about ten minutes for my pizza to be made. The pizza was thin with a crispy crust and the blend of toppings were complimentary in flavor. I’m happy to have the “Doughjo” in the neighborhood and to see this pizza business thrive. Thanks for giving this local place a shout out. Yes, great pizza. I have ordered several pies and they’ve all been fantastic. The price is high but the quality ingredients are primo. This ain’t your cheap chain. The staff is very friendly and the service quick. Go ahead, readers, treat yourselves. You will not regret it. Thanks for your comment! I agree. I think the lunch deal is a great one!